A graduate of the Victorian College of the Arts, Carolyn’s diverse career over the past 25 years has encompassed dance, theatre, television and film. In theatre, she has worked for M.T.C., Playbox, and Theatre at Risk and on a myriad of independent productions. Her most recent theatre credits include Lost in Ringwood by Barry Dickens for L. WOLF Productions/La Mama. 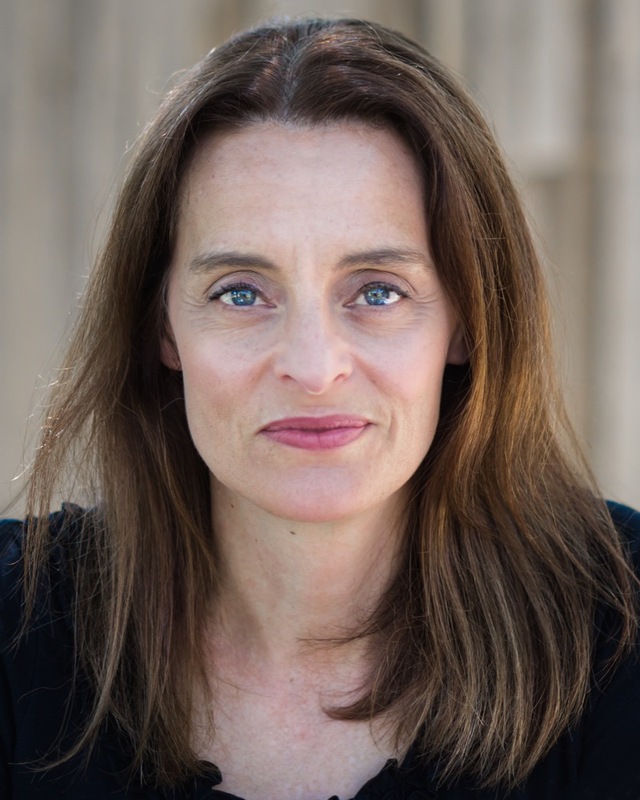 Aphanisis by James Clayden and for the past three years she has played the title role of Medea by Euripides for Complete Works Theatre’s education program and The Penelopiad, also for Complete Works. For The Shift Theatre she performed in their production of Two Sisters and a Piano and The Girls in Grey. Carolyn’s television credits include Wentworth, Offspring, A Beautiful Lie, INXS The Untold Story, Dr Blake Mysteries, Winners and Losers, Neighbours and City Homicide. Film credits include Vanished, Murder in Greenwich (USA), SNAK, Zone 39, and many short films. In addition to her acting experience, Carolyn is the Associate Artistic Director of Rollercoaster Theatre for actors with disability. For many years, she has taught for independent and leading dance institutions and has created, produced and directed many dance/theatre works for young children. She also works with primary and secondary students in rural areas devising performing arts experiences, and as a drama coach and mentor. In 2017 Carolyn was invited to attend the United Nations forum on Business and Human Rights in Geneva. Verity Charlton is a Melbourne actor and comedian, with a Bachelor of Theatre and Drama from La Trobe University. She is a founding member of Red Stitch Actors Theatre, where she performed in 16 productions; including The Country, Love and Understanding and Iron. Other theatre credits include, Operation Dolores, Stories from the Flatlands, The Commission, Blue Murder, Eight Days and Odd Seas for La Mama. In 2001 Verity co-wrote Natural Elements with Anna den Hartog for Black Box. In 2015 Verity co-wrote Workspace with The Tuesday Night Club, a sitcom filmed in front of a live audience for the Melbourne International Comedy Festival (MICF) at La Mama. Her play Stories about a Dress was part of La Mama’s 2012 Explorations season. Verity’s television credits include; Neighbours, Time of our Lives, The Hollowmen, Kick, Real Stories, Marshall Law and the feature films Remembering Nigel and Knowing. In 2016 she performed her first solo stand up show Verity’s Variety Show at the MICF. In 2019 she will perform for the MICF with Andy Burns in People People. Co founder of The Shift Theatre with Carolyn Bock, Helen appeared in their productions of Two Sisters and a Piano and Fred at The Dog Theatre in Footscray. Together they have written, produced and performed in The Girls in Grey, about Australian army nurses during World War 1, which has had a season at Theatre Works in St Kilda and has toured Victoria and N.S.W. and W.A. It was on the VCE curriculum for Drama in 2012 and is published by Currency Press. Her theatre appearances include Twelfth Night and Julius Caesar for Melbourne, Adelaide and Edinburgh Fringe Festivals for Essential Theatre, The Merry Wives of Windsor at fortyfive downstairs, Wuthering Heights at Ripponlea, Much Ado About Nothing in Perth and Adelaide and the far north of Australia and Romeo and Juliet and Twelfth Night in Melbourne’s Botanic Gardens and Pygmalion at the Athenaeum Theatre for The Australian Shakespeare Company and Away for the Melbourne Theatre Company. La Mama productions include Lost in Ringwood, The Show Must Go On, Macbeth X, Dizney on Dry Ice, Thy Kingdom Come, Orpheus, Evidence, Monologues for an Apocalypse, Mary Shelley and the Monsters, Good Morning Midnight, Heights, Advice from a Caterpillar. She also appeared in the production of The Women’s Jail Project for the Dublin Fringe Festival. Helen has featured in lead roles in the films The Marey Project, Hamlet X, Ghost Paintings 1-4 and Sensitive New Age Killer (SNAK). Helen is on La Mama Theatre’s Committee of Management. Born in Vietnam and currently based in Melbourne, Chi Nguyen’s credits at the Victorian College of the Arts (VCA) include Mother Courage in Mother Courage (dir. Chris Kohn), Jackie in The Boys (dir. Alister Smith) and Masha in The Three Sisters (dir. Melanie Beddie). In 2016, Chi performed at La Mama Explorations 2016 as Tam in Hallowed Ground with The Shift Theatre (dir. Tom Healey) and was a voice over artist for The Butterfly Foundation’s virtual reality film, Iridescent. In 2017, Chi devised and performed OCCUPIED, a theatre experience in partnership with Melbourne Fringe Festival 2017, played Khanh Le (lead) in VIVID written by Hoa Pham (dir. Wolf Heidecker) and Phi Nguyen (lead) in the first Vietnamese-Australian family comedy web series Phi and Me (dir. Melanie Killingsworth). Chi was the recipient of the Grace Marion Wilson Scholarship for excellence in acting at the VCA. Chi is moreover an accomplished vocalist, pianist and the winner of LAVISA Singing Competition 2015.